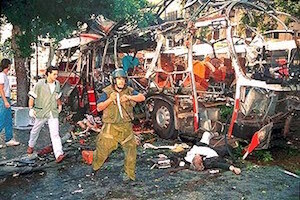 Every year more and more books come out about Israel. With the focus continuously on politics, the conflict and even reassessment of history from yet another angle or interpretation, it is a breath of fresh air to turn the pages of one personal story after another while relishing in the amazing diversity of Israel and what it means to 70 different people. As a longtime avid reader of anything relating to Israel, the cynic in me always wonders “ok, so what? what here will be new? enlightening? inspiring?” And as a longtime educator, I question how the book will be relevant to the (too) many who no longer pick up a book with physical pages, casting it aside for a digital version. I am convinced that the internalization of words from a screen vs. a printed page is drastically diminished, perhaps leading to the simplified, dumbed-down generation we are facing whose attention barely surpasses the time span of a sound byte. But such is the world we live in, and one we must navigate more effectively for the sake of the future generations. 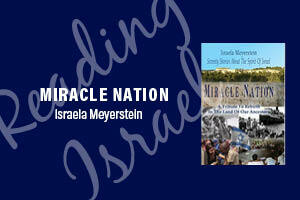 The personalities featured in Israela Meyerstein’s Miracle Nation: Seventy Stories about the Spirit of Israel each offer a window into the lives of people who feel Israel deeply in their heart and soul. And it is this personalization that can potentially break down the geographic and cultural divisions that plague understanding of Israel as a significant element of Jewish identity. 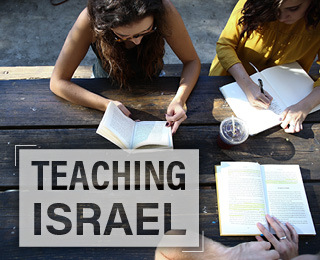 For the educator, the stories can be used as a conversation starter - each one touching on a different element of the Jewish historical experience. 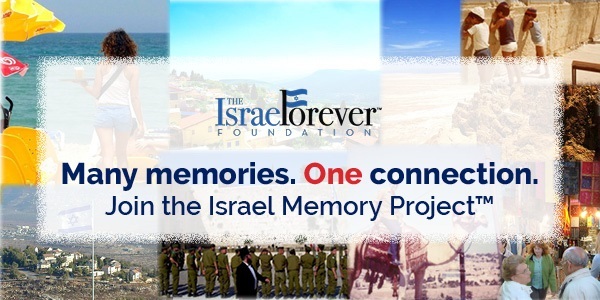 They can be an impetus for you to bring the Israel Memory Project to your classroom or community - encouraging you to collect the many stories that lay in the hearts and minds of so many, and which can be used to teach and inspire about how Israel of today not only came into existence, but how we can never take its existence for granted. Parents and grandparents alike can read these stories - at the Shabbat table, or even at bedtime as I have done with more than a handful of these amazing tales. My kids revel in the memories, recognizing that each one is yet another affirmation of our rights, our pride, our collective responsibility as Jews to our Jewish history, heritage and homeland. They have even translated a few of them into pieces of art - drawing out scenes they heard described as I read to them of the spirit of Israel as they drift off to sleep. And of course listening to Israeli music as they create their Israel In My Art pieces to decorate our walls or send to our family in America. 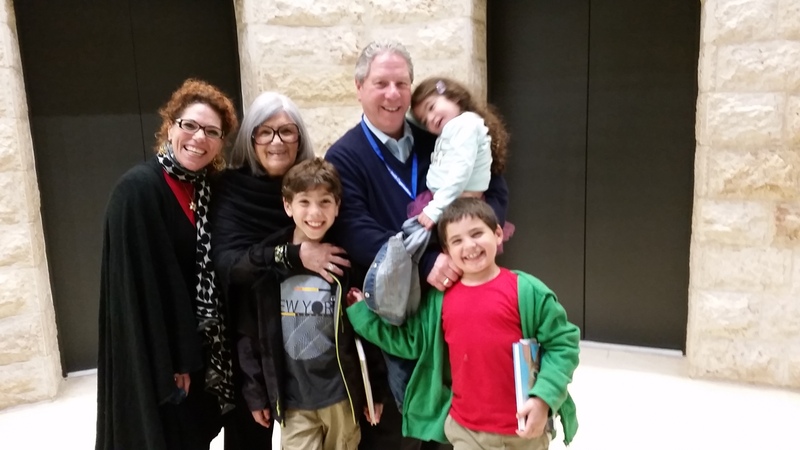 As a Jewish mom, I am always thinking about how to pass on to my children the Israel-inspired Jewish identity that I was raised by my incredible parents, Richard and Phyllis. 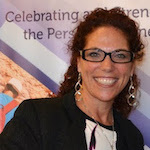 My children are blessed to have the two amazing leaders for the Jewish people as models of pride and integrity, generosity and connection as Jews in the world. They have inherited the stories of my childhood visits to Israel, of my parents’ first encounters here, and even of their great-grandmother Esther’s memories of growing up in Tel Aviv during the British Mandate. Growing up born as Sabras in our ancestral land, learning and living Israel in their every breathe, they are proud Zionists to the core. And it is stories like these help propel forward their commitment to the history embodied in these experiences and memories. 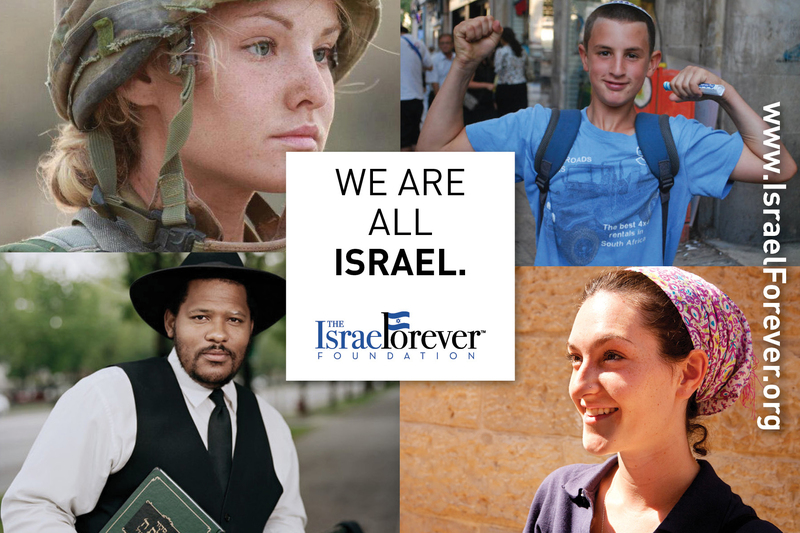 Not everyone grows up with such a rich wealth of memory to cherish, and sadly, not every Jewish child today is growing up with the appreciation of the uniqueness of Israel and the Israeli spirit. 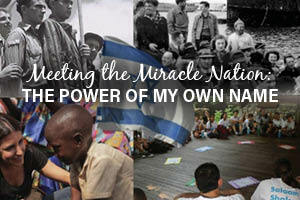 Perhaps a book like this - passionately collected and written by a woman whose own name shares the legacy of our land, our state, and our nation - might help those who seek to strengthen and deepen their personal connection by inheriting the stories of the miracle nation that Israel truly is. 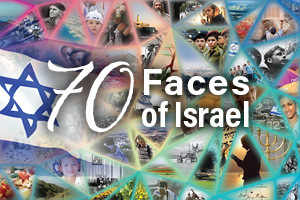 Memories, ancient and modern, create the living story that is Israel. Take a look and, if you’d like, add your own!